From touchy trackpads to balking batteries, Apple’s portable computers (the MacBook, MacBook Pro and MacBook Air) are vulnerable to certain problems not shared by their desktop siblings. If you have an Apple laptop that’s giving you grief, here’s how to fix the most common woes. One possible work-around is to buy a matte protective film for your MacBook, similar to the film popular for protecting iPhone screens. Photodon, for example, makes a cover screen that fits the current MacBook and 15-inch MacBook Pro models. However, you may not be happy with this solution. Many users report that the film adds an undesirable graininess to the display. It may also be aesthetically unpleasing, as it can alter the flush transition from the display to its surrounding black border. The latest MacBook Pros only have a FireWire 800 port. What if you need the older FireWire 400 port? You can have one, but it will require an additional purchase. You actually have two options. First, you may be able to get by with an 800-to-400 FireWire cable. Otherwise, you’ll need to buy a FireWire 400 card and insert it in the MacBook Pro’s ExpressCard slot. The latest MacBooks (as opposed to MacBook Pros) have no FireWire ports at all and no ExpressCard slot. With these Macs, if you need FireWire of any sort, you are simply out of luck. You’ll have to find a USB alternative. Does your new MacBook Pro sometimes perform as if it is swimming upstream against a strong current? Does this sluggishness happen especially when using graphics-intensive applications such as Final Cut? If so, give your MacBook Pro a performance boost that should have it swimming downstream again. You can improve the performance of recent MacBooks, and fix some display problems, by switching the Graphics Option to Higher Performance. Go to System Preferences and select Energy Saver. In the Graphics section at the top of the pane, enable Higher Performance instead of Better Battery Life. This switch forces the MacBook Pro to use the faster of its two graphics processors, the Nvidia GeForce 9600M GT, instead of the slower GeForce 9400M. All of your graphics-intensive applications should now run at a snappier pace. The Info window for BatteryUpdater.bundle shows that its version is 1.3, meaning you have the most recent update. Do you have an older MacBook or MacBook Pro? Does the battery fail to hold any charge? Before you decide to purchase a new battery, make sure you’ve installed the latest compatible MacBook Pro Battery Update. This alone may fix the problem. To check, go to the SystemConfiguration folder in /System/Library and look for a file named BatteryUpdater.bundle. Select Get Info for the file. If its version reads either 1.2 or 1.3, you should be fine. If not, or if no BatteryUpdater bundle is present, download the Updater from Apple’s Web site and install it. If installing the update has no effect, you probably need a battery replacement. The good news is that Apple may replace the battery for free, even if your MacBook is no longer under warranty. If your laptop qualifies, Apple will replace its battery for up to two years from your date of purchase. To find out, take your MacBook to an Apple Store; they will check to see if your MacBook is in the qualifying serial number range. Do you own one of Apple’s latest MacBook or MacBook Pro models (officially described as the “late 2008” MacBooks)? Have you found that pressing the trackpad button sometimes has no effect? Not to worry. You can restore full functionality by installing the MacBook Pro Trackpad Firmware Update 1.0. If you haven’t already installed it, it should show up automatically the next time you check Software Update. One caution: If the firmware installation is interrupted for any reason (such as a power failure), you may wind up with a completely nonfunctional trackpad. If this happens, stay calm. You can recover from this mishap without a trip to your neighborhood repair center. The trick is to find a way to attempt the firmware installation again. The simplest solution is to temporarily connect a mouse (hopefully, you either own one or can borrow one from a friend) to your laptop. Next, using the mouse instead of your comatose trackpad, navigate to the firmware update application and start over. After the update completes successfully this time, your trackpad should be up and running again. 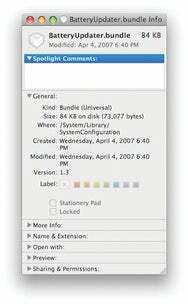 If the keyboard on your older (2006 or 2007) MacBook or MacBook Pro ignores the first key you press after a period of idle activity, install the Keyboard Firmware Update 1.0. If your MacBook appears totally dead and you’re running on battery power, your first step should be obvious: connect the laptop to the nearest electrical outlet. You may have a completely discharged battery. Give it a few minutes and try to restart the laptop. If that doesn’t help, press the Control, Command, and Power keys simultaneously. This may get the computer to restart. Otherwise, force the laptop to shutdown (by holding the Power button down for at least 10 seconds) and try to restart. If all of these suggestions fail, it’s time to reset the laptop’s SMC (System Management Controller). The procedure varies by Mac model. 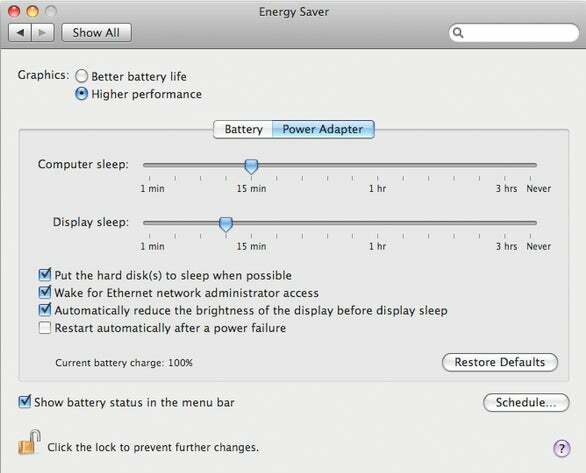 For Apple’s latest MacBook and MacBook Pros, simply remove the battery, disconnect the laptop from AC power and hold down the power button for five seconds. When finished, put everything back and attempt to start up. For more details, including how to reset the SMC on a MacBook Air, see Apple’s support article. If your MacBook remains dead after all of this, there are a few other things you might try, but they are unlikely to be a cure. Most likely, your MacBook needs a hardware repair. Take your laptop to an Apple Store. If you’re having any unexplained problems with your laptop, install these updates (and any newer ones that may come along). With Apple generally not divulging all that these updates do, you never know what might be fixed. Senior Contributor Ted Landau has recently updated his book, Take Control of Your iPhone (TidBits Publishing, 2009).